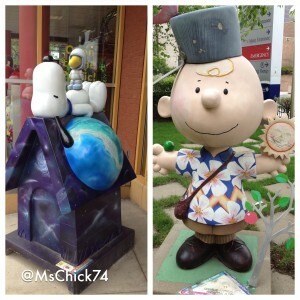 One of the many sights to see in the Twin Cities are the Peanuts statues. 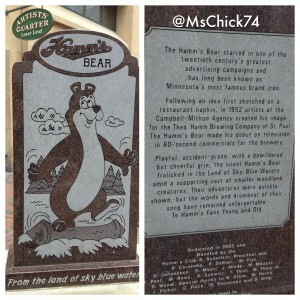 Since the statues were released between 2000 and 2004, many of them were auctioned off. 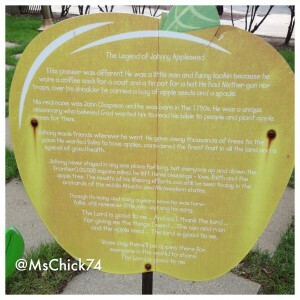 Some stayed in the Twin Cities area. Paul and I are on a mission to find as many as we can. Just an FYI, there are apparently a bunch in Santa Rosa, California too. 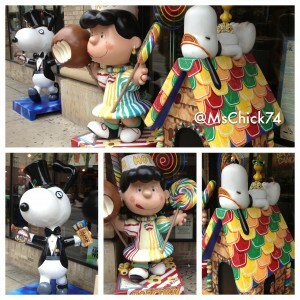 This group was outside Candyland on Wabasha Street. Please don’t ask me to pronounce that street name. I always say it wrong. What annoys me is that it’s just around the corner from the sandwich doghouse Snoopy at Wild Tymes. I swear we walked right past them when we were down there last time. 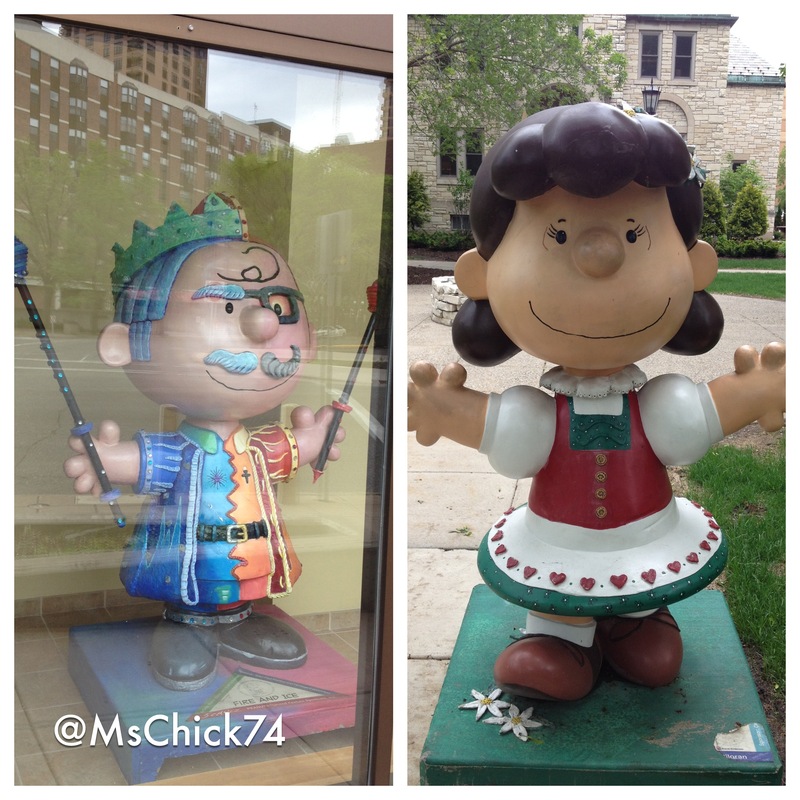 Charlie Brown, who reminded me of some sort of Renaissance Fair character who was on an acid trip, was inside the lobby of an upscale looking apartment building on Sibley Street. Lucy in her Bavarian garments was outside of the Church of the Assumption in a rather large park-like area. 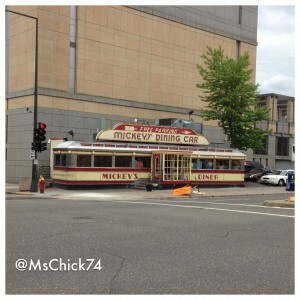 On our way to see Lucy, we saw this diner randomly plunked on a corner. Paul said it was in the Mighty Ducks movie. (Admission: I’ve never seen that movie). 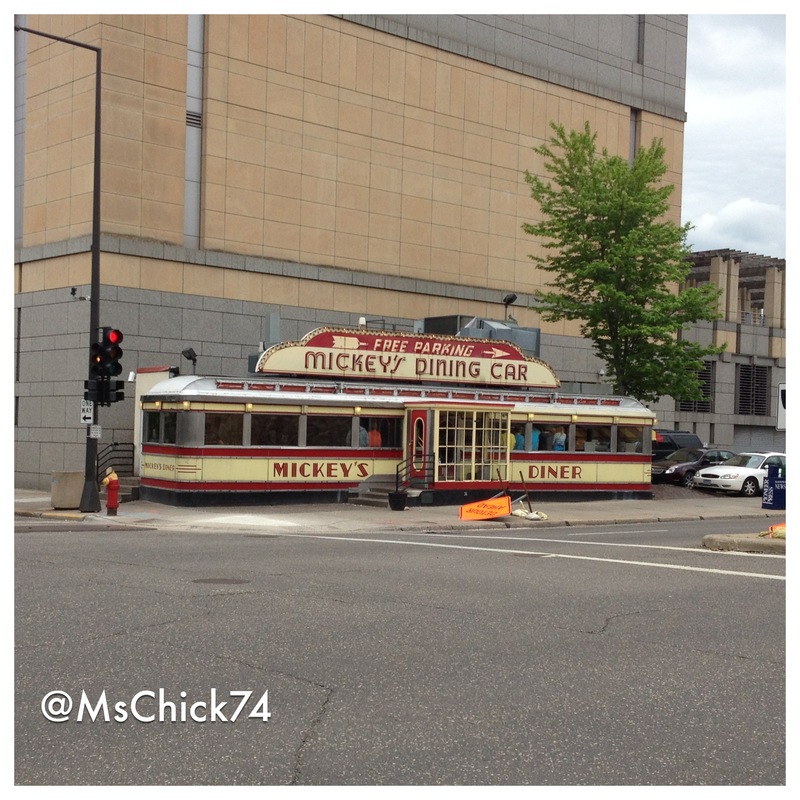 Also, I’ve never been inside one of these diner cars. And now I know why…they are freaking tiny! There was maybe 10 people inside sitting at the counter and a few tables. Then there was at least that many waiting to be seated in what felt like 50 square feet. My claustrophobia was triggered, so we moved along to have lunch elsewhere. 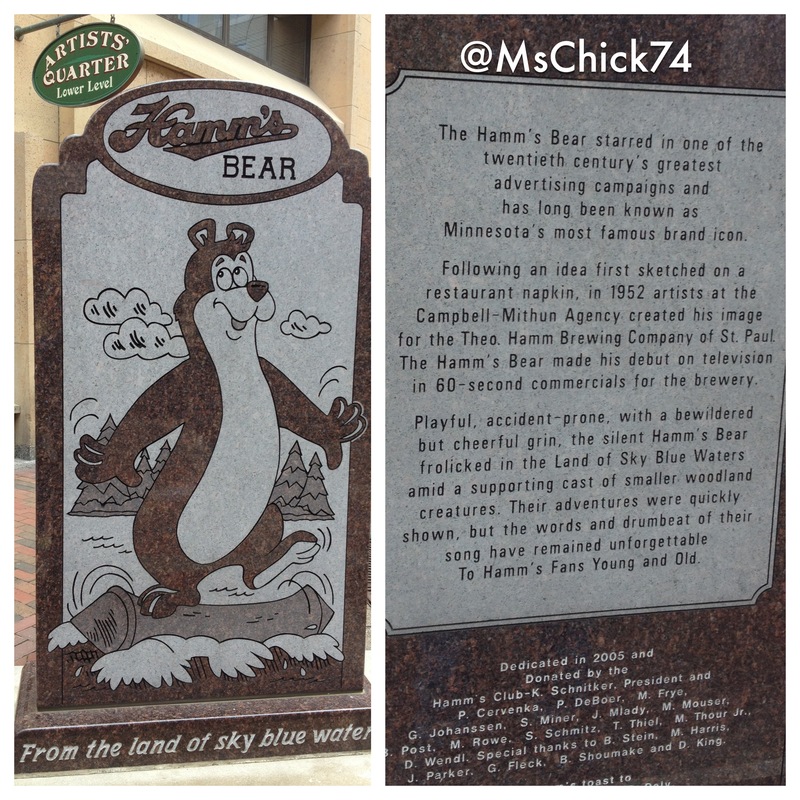 Yep, that’s the Hamm’s Bear. Do you have the jingle stuck in your head? Because I certainly do. 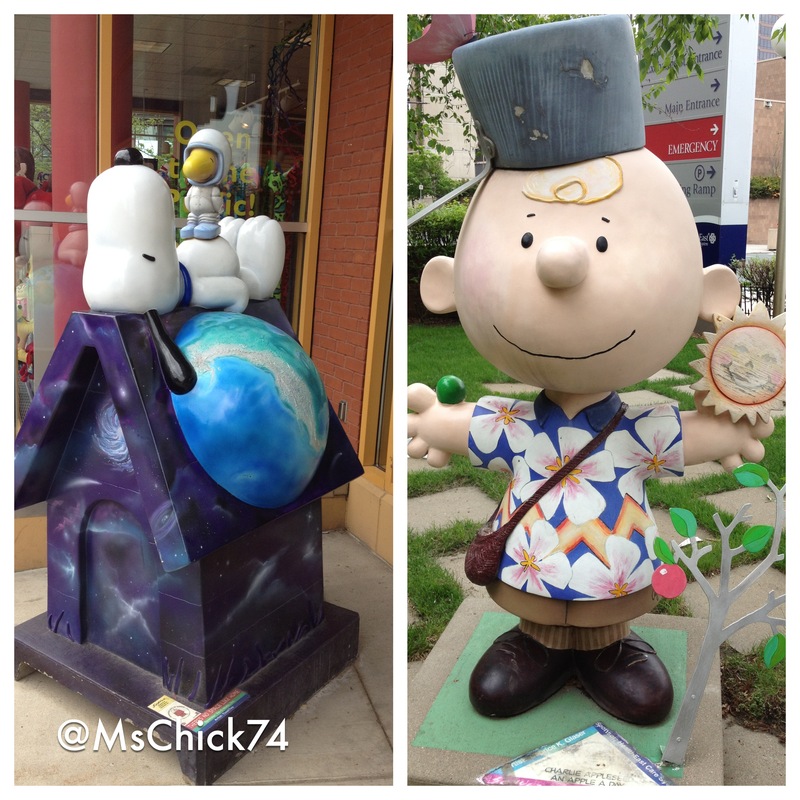 By the way, if you want a good walking tour of the downtown area, just try to find the Peanuts statues. You’ll definitely get in a good bit of exercise.